When we think of style in the automotive world, the Italian names we know come to mind. One that you might not immediately think of is the Fiat 124 Spider, but you should. This impressive roadster is ready to ride and gives you the fun and active drive you want without breaking your bank. Let our team at Palestine Chrysler Dodge Jeep Ram Fiat help you make this the car that gives you the most fun on the road. Pull into our dealership and you’ll see a selection of Fiat 124 Spider models to choose from. Choose the one that strikes your imagination the most and let’s take a drive. This is a car that lets you have the fun you want, offers you the comfort and quality style you’ve been looking for, and provides you with the convertible sports car drive that you’ve longed to enjoy. Why shouldn’t you have a fun car to drive? We think you should and when your neighbors see you driving the 124 Spider in Athens, TX, they’re going to turn green with envy and ask where you found it. Did you know that the car you’ve been looking for was the Fiat 124 Spider? If you’re looking for a car that can be enjoyed every day and truly unleashed during your recreation time, this is the one for you. When you take it for a ride you’ll see this open-air sports car offers a European flair and the style you’ve been after. This car is one that puts a smile on your face and will certainly turn heads when you pull up for a night out or just take it on the road for a drive. Many times, a convertible is offered with a noisy cabin that’s sold to you as “part of the experience.” That doesn’t have to be the case and Fiat found a way to make the cabin quieter in the 124 Spider. With the use of sound insulation, thicker glass, and an acoustic windshield you’ll have a quiet cabin when the top is up and only hear what you want to when the top is down. This means a comfortable and quiet ride for you that can be enjoyed no matter where you plan to go. Often, we buy vehicles for practical reasons, and that’s ok. 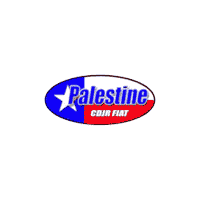 When you’re looking for a vehicle that offers you the fun you want to have from behind the wheel, our team at Palestine Chrysler Dodge Jeep Ram Fiat will do everything to make that a reality for you. The Fiat 124 Spider can be the car that tickles your fancy, reaches your imagination, and puts a huge smile on your face. Take one home to Athens, TX today and know that you’ve got the perfect car for the fun you want to have on the road.